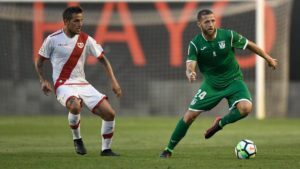 Rayo Vallecano Leganes betting tips – The match ends with La Liga number 22 and an interesting one announces that two teams are struggling to avoid relegation. The duel will be arbitrated by Juan Martinez Munuera. 1. Statistic data to be taken into account before playing Rayo Vallecano – Leganes betting tips! The good shape shown by Rayo in the last 5 stages of the championship, with 4 successful victories and a 2-2 draw against Real Sociedad. However, Michel’s team trained for 21 rounds on the eighteenth position, with 23 points, negative goal -11, a total of 6 wins, 5 draws and 10 defeats. Recently transferred to the Madrid team at Schalke 04, the Argentine offensive midfielder Franco Di Santo has low chances to play in Monday night against Leganes, accusing medical problems. He is on the first retrograde position, the 18th, with 23 points after 21 rounds. In the last 5 games he has not lost, and 4 of them lost. Home was defeated only in one of the previous 6 disputes and in 3 it was imposed. He has scored in the last 5 matches, but has scored 3 goals. Leganes are also struggling this season for survival in the Spanish football elite and after 21 rounds, Mauricio Pellegrino’s students are ranked 17th in the La Liga, equal to points with their opponent, Rayo, but with an upper goal, -6. Eliminated in the finals of the King Cup finals after 1-3 in double hand against Real Madrid, Leganes suffered in the championship, where he managed only one victory in the previous 7 stages played, 1-0 home, against the “red lantern” Huesca . He was on the 17th place and gathered 23 points after the first 21 stages. It is inconsistent and in the last 5 games it has 2 wins, 2 defeats and one draw. He comes after three games in which he lost, so he seems to suffer on foreign ground. He scored in the previous 4 duels and in 2 of them he escaped without cashing. 2. Latest information before Rayo Vallecano – Leganes! Bebe is suspended because of the cumulus of yellow cards. Comesana is exactly the same as his colleague. Elustondo is injured and will not be able to evolve, according to mundodeportivo.com. Alberto Garcia and Franco Di Santo are uncertain because of medical problems. Szymanowski is probably the most important absence, being injured. Ezequiel Munoz also has medical problems and seems to miss you. Guido Carrillo is uncertain for the same reason, but he may be forced. 3. 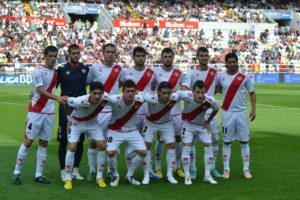 Rayo Vallecano – Leganes Probable Team! Rayo Vallecano (3-4-3): Dimitrievski – Amat, Ba, Velazquez – Advincula, Medran, Imbula, A. Moreno – Embarba, Tomas, O. Trejo. Leganes (3-4-1-2): Cuellar – Omeruo, Siovas, Bustinza – Nyom, R. Perez, Vesga, J. Silva – O. Rodriguez – En-Nesyri, Braithwaite. 4. Rayo Vallecano – Leganes latest direct info! There are 3 recent direct meetings, all this season, one in the Cup and two in the championship. In La Liga Leganes was forced to score 1-0 by Carrillo on his own field. And in the Cup was a draw, 2-2 and Leganes won away 1-0. 5.News, analysis, statistics and anachronism about the two teams. Rayo is unbeaten in the last 5 stages. Both bands have a desperate situation in the standings and I think they will attack from the start. In 4 of the last 5 matches of Rayo Vallecano he scored in the first half. And in 4 of the previous 5 duels of Leganes it has happened the same. And in the three direct meetings this season was at least a success in the first half.